This year, I've seen Pangasinan quite often. During the latest trip to distribute Northbound Magazine, we drove again fron Tarlac all the way to Bolinao. 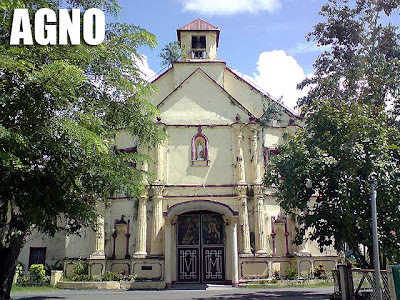 Along the way, you could stop by the churches of Mangatarem, Aguilar, Salasa, Lingayen, Alaminos and finally Bolinao. We stayed at Puerto del Sol for the night. It's definitely the best hotel in Bolinao. We weren't able to pass by Patar Beach or Tondol Beach anymore the next day since we wanted to find some nice beaches in Dasol. On the way to Dasol, we visited the Agno Church. The bad news was the roads to Dasol's white sand beaches were quite rough and no way was I going to drive my car through the rough road. So we turned back and made our way to Dagupan. 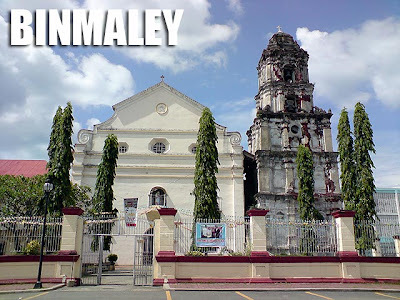 Between Lingayen and Dagupan is the town of Binmaley. The Binmaley Church has a really massive belfry. 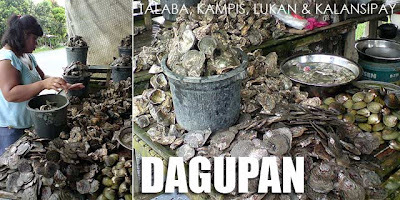 As we entered Dagupan, one thing I noticed was the abundance of talaba, kampis, kalansipay and lukan sold in stalls along the National Highway. I was told they come all the way from Alaminos. Before driving back to Manila, we made one last stop in the town of Calasiao. 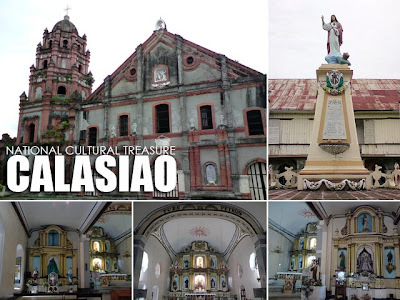 The Calasiao Church is of course a National Cultural Treasure. 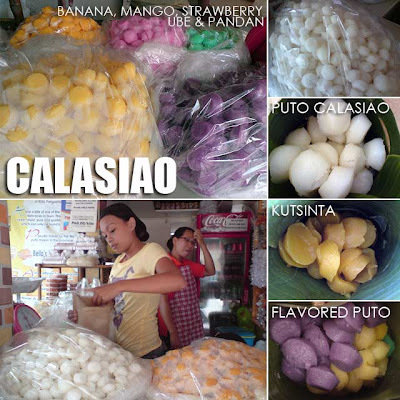 But the town is better known for producing sweet white puto which we all know as Puto Calasiao. Aside from the kutsinta also being sold there, the puto now comes in various flavors which include mango, banana, strawberry, pandan and ube. @R.O., that's sad to hear. We should start practicing that in the Philippines. 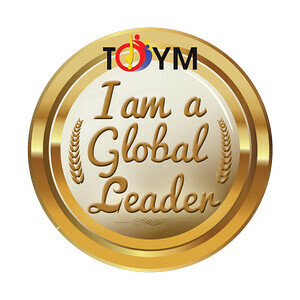 @Traveler on Foot, Happy New Year!